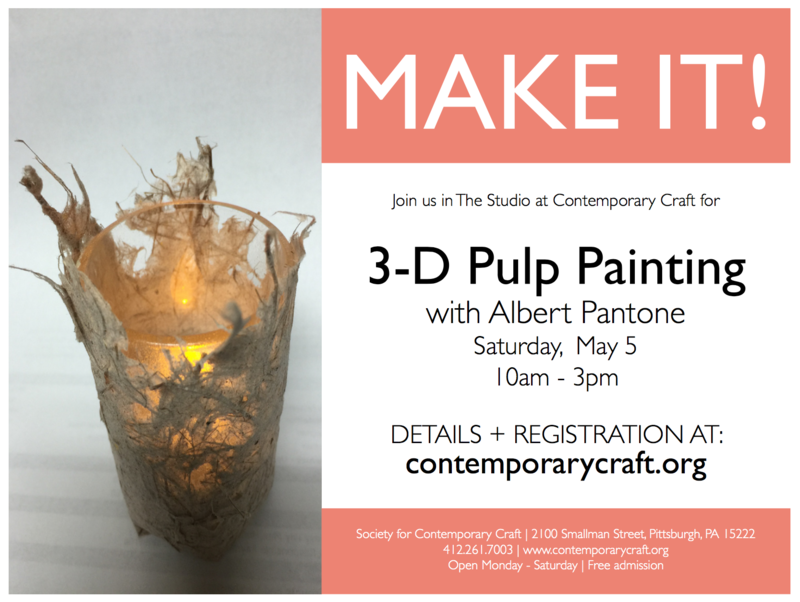 Join me at Contemporary Crafts for 3-D Pulp painting. We’ll use plastic and glass cups, bowls as molds, yarn, string, sticks, wire and cloth to build armatures. We’ll then attach wet pulps such as abaca, cotton linter, and other heavier natural pulps to the armatures, molds and shapes we built. Various inclusions and colored pulps will be used to enhance our creations.